It’s the world’s most popular event for the world’s most popular sport. 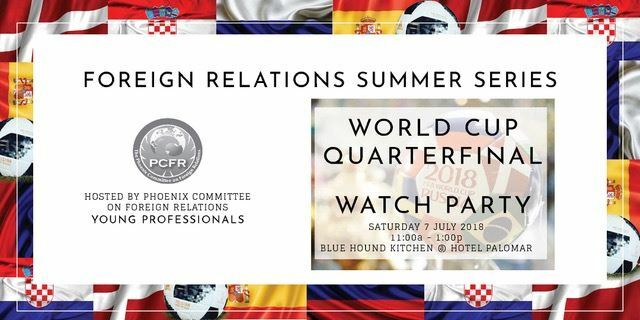 Come watch the World Cup Quarter-final match 4 with PCFR Young Professionals. No USA, but that’s okay. Cheer on teams from around the world with Foreign Relations Professionals. Complimentary appetizers and cash bar. Face paint optional.